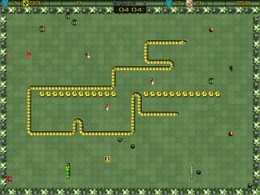 Snake game download. Free download Snake game. 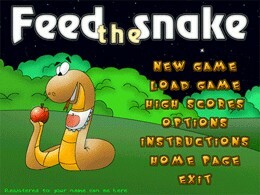 Feed The Snake is a classical arcade game. You must control the snake who should eat a little for the travel. The object of the game is eat, eat and eat. From the little worm you can grow to the mighty python. We can advise the game for everyone who loves to play classical snake game. As in the classic snake game you shouldn't cut into the walls. Teleports situated on the levels of the game became global improves and relief, they will make your life and life of your snake easier. All that you want from the classical snake game with wide game possibilities is done in the Feed the Snake. Begin this snake game one more time and Feed the Snake become the game you will always play. At this time we have only free trial version of the Feed the Snake game. We have no player reviews for Feed the Snake yet.